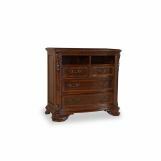 A hidden storage tray behind the upper frame molding is accessed by opening the top drawer and then engaging the finger groove machined into the front, bottom edge of the pull-out tray. 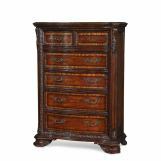 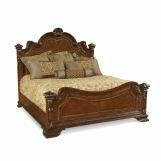 This piece has a slightly taller profile at 33 ½” to coordinate well with the estate bed. 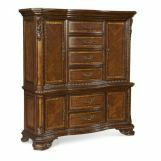 There is one adjustable shelf behind the two lower curved doors, and the upper drawer is lined in felt. 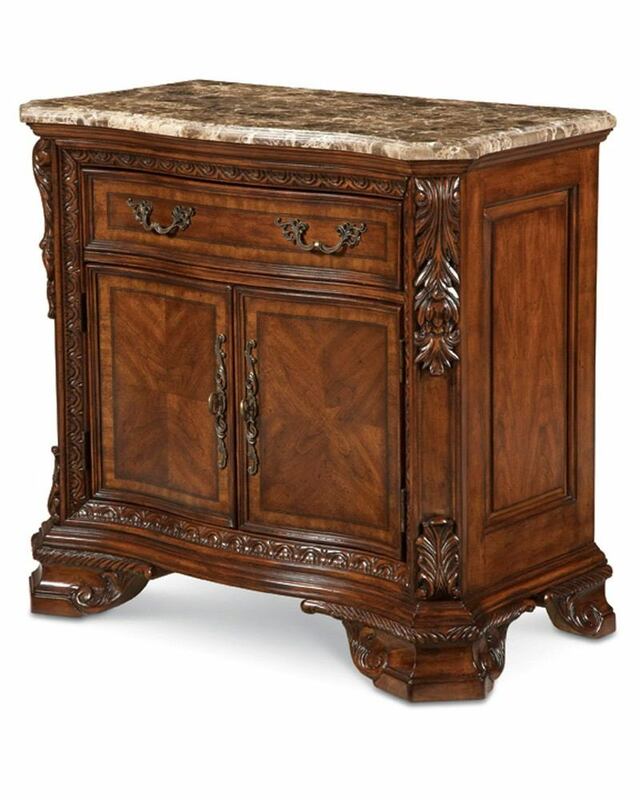 The top is adorned with an emperador marble top. The finish is a rich and warm pomegranate shade that has both depth and clarity which allows the natural beauty of the wood graining to shine through. 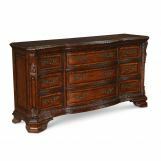 Burnished edges, hand rubbed fronts and machine rubbed tops provide a satiny glow that enriches the Old World feel of this collection.